ARIC TAYLOR - Skull I did on Jason's leg. Part of a collection of skull's by different Tattoo Artist. Very honored to be a part of it. 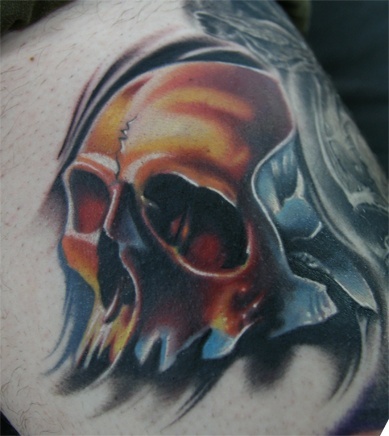 Skull I did on Jason's leg. Part of a collection of skull's by different Tattoo Artist. Very honored to be a part of it.